is giving children a voice! „199 Little Heroes“ is a worldwide film series project under the patronage of Germany's UNESCO-Commission. Our aim is to portray one child in each country of the world – all of them framed alike by their way to school. The way to school is symbolic for the way into life, to education and, in that, into a better future. The documentary series helps the children of the world raise their voice. As varying as their surroundings are, as differing they in personality, they are as alike in dreaming, in hoping and fearing and in their mutual desire to preserve our world. They are curious and thirsty for knowledge, and they have the will to change the world. The project has grown so complex that apart from the film series, an interactive internet platform has been developed as well as educational material for schools, which is put to use in German, history, geography, social science, philosophy, religion and ethics classes and in cross-subject projects. 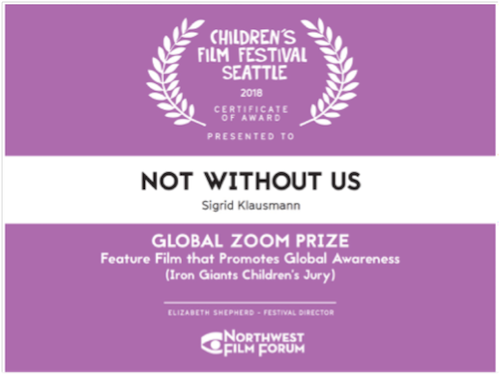 Also, the full-length movie „Not without us“ has been developed out of the 16 short episodes, and has enjoyed tremendous success at international film festivals. The film hit cinemas on January 19th and is still part of the program of the German School Cinema Weeks. The original idea is actor Walter Sittler's idea. His wife Sigrid Klausmann is director in charge and has shaped its substance into the artistic vision of what it is today: a unique kaleidoscope mirroring the diversity of our world. The production team are: Gerhard Schmidt Gemini Film & Library, Cologne, and the Schneegans Productions owned by Sigrid Klausmann and Walter Sittler, Stuttgart. They work with international teams and co-producers. The last few years have seen the forming of a large community of „hero friends“, who support the project in many different ways. 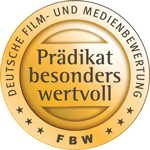 Initial support was given by the film and media foundations North-Rhine Westphalia, followed by MFG film funding Baden-Wuerttemberg, the county's ministry for cultural affairs, youth and sports as well as the ministry for environment, climate and energy economics followed suit. Important support has also come from the German ministry of foreign affairs in financing the Arabic version of our homepage (which is currently under maintenance) and the movie production „Not without us! Israel and Palestine at "Middle East NOW Filmfestival", Florenz. We want to create the future together with you! Follow us on facebook and become part of this unique project. Please note! Pedagogues may rent DVD I and DVD II. Please contact your town's or county's communal / confessional media centre.